Eric Harne explains how he handles angry customers using Zen Call Taking. I’ve worked in an emergency centre for a number of years and have answered literally thousands of phone calls encompassing everything from the mundane to the horrific. During the course of my career, I have been threatened, harassed and called every derogatory name you can think of – and perhaps a few you can’t. Granted, those calls are not the norm. Yet when they occur it is critical that they be handled properly because the person on the other end of the phone – bad language notwithstanding – has an emergency. Initially, being insulted wasn’t the easiest thing for me to deal with. There’s a mechanism deep inside most of us that wants to interject and explain that we don’t have to put up with that kind of language, and if they don’t stop then we’ll hang up! Yet in an emergency centre you can’t hang up. You have to listen because even though the person is cursing, there may be an actual emergency requiring the police, fire services or an ambulance. You must dodge the invective and grab the facts. Not always easy, but a necessity under the circumstances. To that end, I developed a method for handling irate, cussing customers called Zen Call Taking. 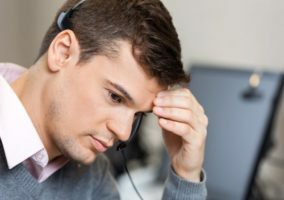 Zen Call Taking as it relates to customer service representatives is the application of both basic Zen principles and the call-taking skills gained from 911 operators who consistently deal with high-stress situations. At its most basic level, Zen is a way of approaching life, ourselves and others. The first is giving up control. We have a tendency to believe that we are in control of many aspects of our lives. In reality, we are in control of only ourselves and our reactions to other people and the outside world. This is particularly crucial when dealing with an angry customer over the phone. We often seek to control the person by interrupting when we should first control ourselves. Not an easy task, but an important habit to master if we are to successfully handle customer complaints. By attaching feelings to such situations, we become stressed – breathing heavily, elevated blood pressure and muscles tensing. The customer is already experiencing these negative forces. If a customer service representative brings them into the same equation, what is the most likely outcome? Not necessarily a positive one. When you receive a highly negative call, give up your perceived control and attach no feelings to it. Listen carefully. Separate the caller from the complaint and focus on the actual problem. This allows you to eliminate the emotion and assist the customer in a positive way. Second is trusting in the moment. This means accepting the present moment without any conditions. Yesterday is over and tomorrow hasn’t arrived. There is only here and now. When dealing with a challenging customer, don’t drag what didn’t happen yesterday and what might happen tomorrow into the present. A poor attitude colours our perception of the next caller before we’ve even heard the complaint. Your preconceived notions may set into motion a series of interactions ending with an even angrier customer. This may sound like an exercise in positive thinking, but it’s not. It’s an exercise in thinking clearly. 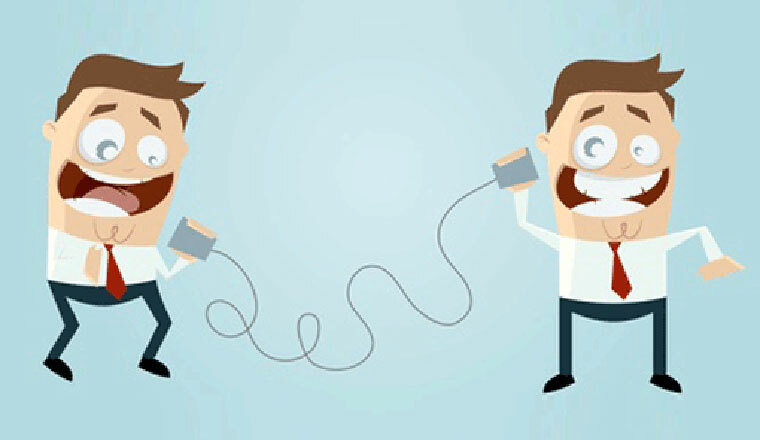 Every call is a different experience with a different customer. How you react often spells success or failure. If you are calm and non-judgemental from the start, you can trust in the moment and realise that there is an opportunity to succeed where others may fail. Finally, there is the concept of compassion. Yes, I realise that when someone is yelling at you about a problem that in the grand scheme of things appears inconsequential, it can be difficult to muster even a modicum of compassion. Yet resolving the customer’s problem is your ultimate goal. By exercising compassion, you answer each phone with an open, non-judgemental mind and a desire to help. It’s true that some customers have created their own problems and it seems unfair that they’re directing their ire at you to assuage their own shortcomings. However, that is the reality of the situation. Compassion requires understanding the problem in an open, non-critical fashion. For most customers, this may be the most important step in reducing anger and securing their co-operation. Eric Harne is a security consultant/writer/speaker located near Harrisburg, PA.